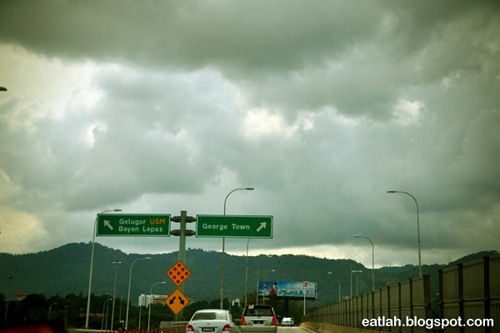 Penang Hawker Food @ New Lane, Penang | where and what to eat lah? Penang has developed hawker food to an art and has exported it to other states in Malaysia, some even found its way further abroad. But to taste authentic Penang hawker food, one has to come to Penang itself. I stayed at Sunway Hotel which is located along New Lane (Lorong Baru), off Macalister Road - the famous street packed with hawker stalls and punters. From 5pm onwards, this street transforms into a busy food heaven which was quite convenient for me. 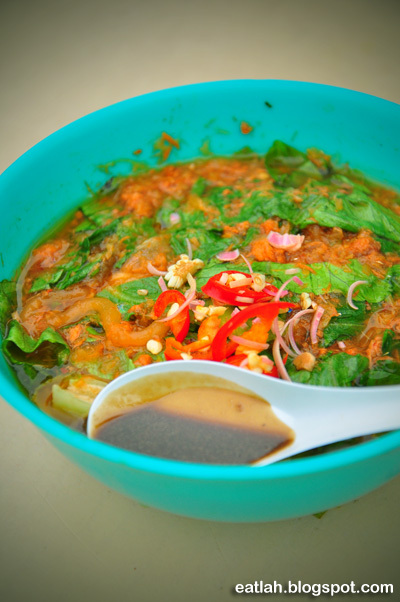 Assam laksa (RM ? 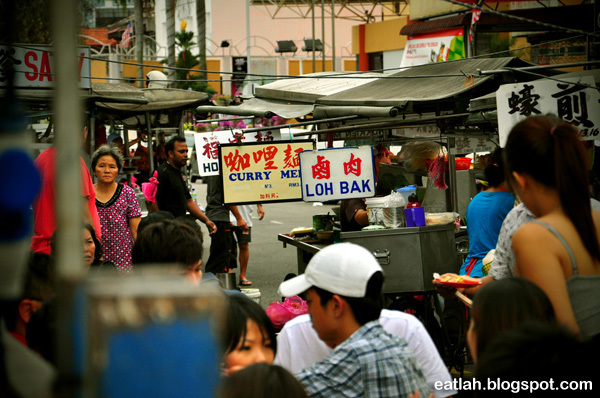 ), the #2 must-eat hawker food in Penang. However, it wasn't that great. The soup wasn't thick enough and it was no where near the assam laksa in Air Itam. Popiah (RM ? 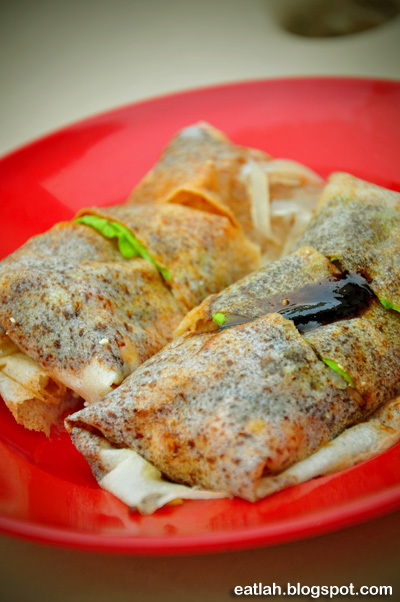 ), Teochew-style spring roll filled with grated turnip, lettuce, beancurd, egg bits, grated carrot, a dash of chilli paste and sweet sauce. I didn't really like it, it was expensive for the small size and the skin was a little soggy. Prawn paste chee cheong fun (RM ? 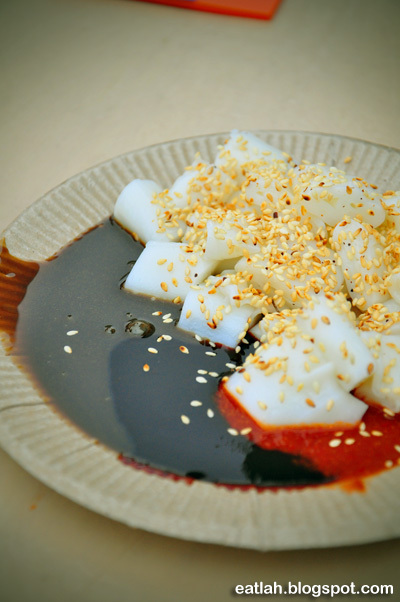 ), steamed rolled rice noodle sheet served with prawn paste, chili sauce and sprinkled with sesame seeds. It was just okay. Could've gone for the Teluk Intan's chee cheong fun instead. 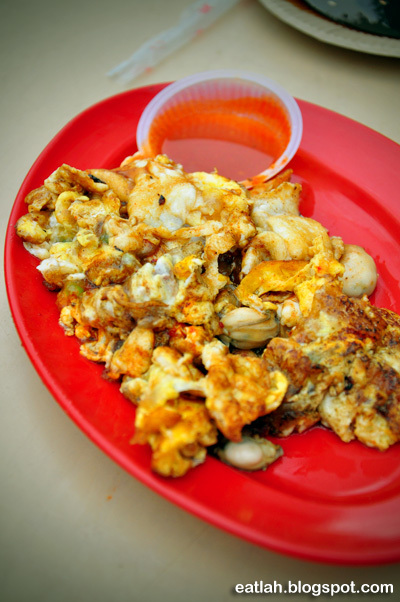 Fried oyster omelette (RM ? ), it was actually quite starchy and small for that price. Verdict: Always thought that you'll never go wrong with Penang street foods, but I was wrong. It would be unfair to say the food in New Lane is bad based on the few dishes that I've tried. Furthermore, there are few repeated stalls offering the same dish, I'm sure there are some good ones. Will probably try the other popular stalls like the pork intestine porridge, curry mee and Teluk Intan's chee cheong fun in my next visit. Business Hours: Opens daily from 5pm - 11pm. If any of you guys remember how much it was, please let me know and I'll update it right away. i think u better try fried oyster at goh chew coffee shop,i think that the great fried oyster in new lane there!